Winter in Chicago is a wonderland. The Christkindlmarket is a frenzy of gluwein drinking, pretzel eating and ornament buying. 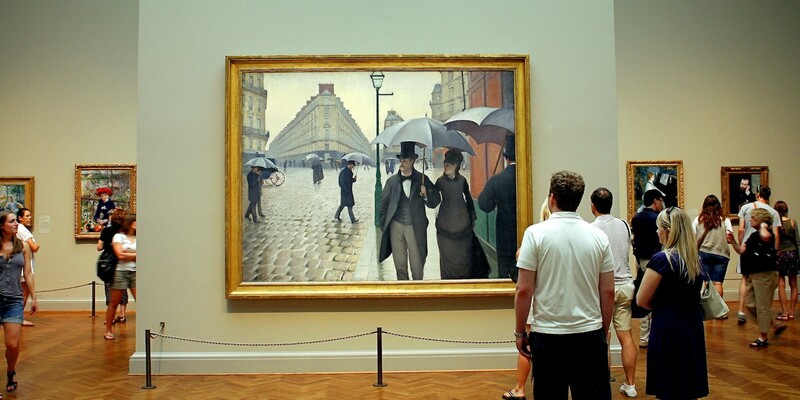 What else is there to see? I’m in my own personal snow globe. I’m 1,353ft up at Skydeck, atop Willis Tower, what for a quarter of a century was the world’s tallest building. 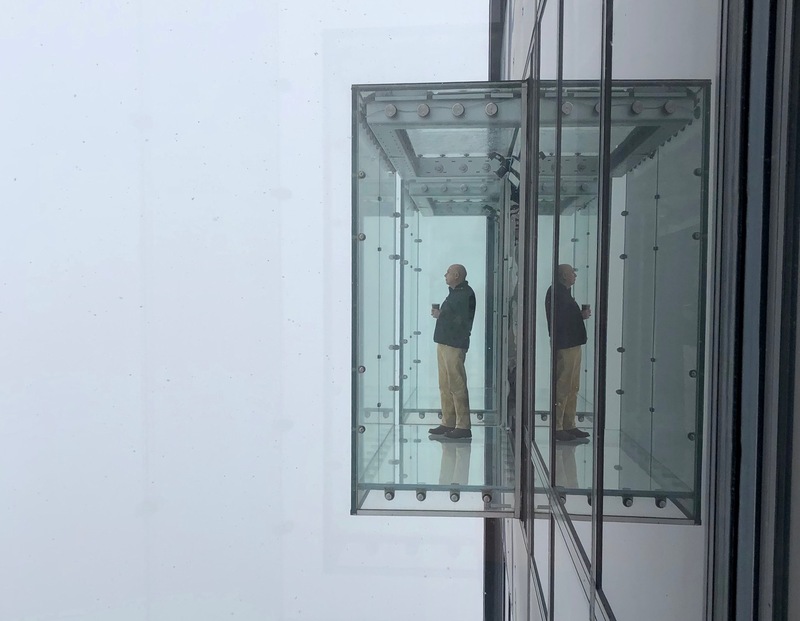 I’m also 4ft out from the side in a glass box, The Ledge, in the middle of a cloud and it’s snowing a storm. Winter here in Chicago is a wonderland. When the cloud parts I can see white dappled skyscraper roofs and a wealth of twinkling Christmas lights, the chilly waters of lake Michigan stretching into the distance. And they do Christmas properly here. 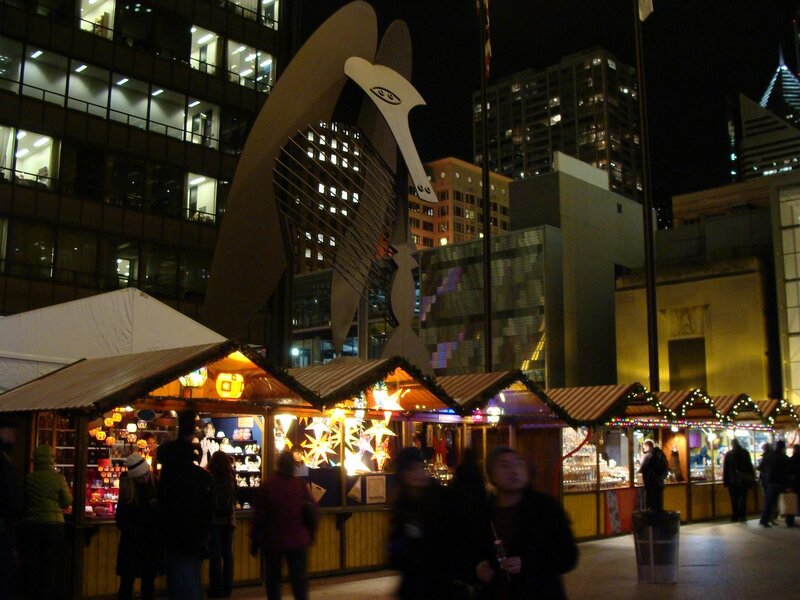 The Christkindlmarket on Daley Plaza is a frenzy of gluwein drinking, pretzel eating and ornament buying, a world of wooden huts that would do Europe proud. In fact it’s run in conjunction with Nuremburg whose market dates back to the 16th century; this one has been ho-ho-hoing for nearly a quarter of a century and you’ll even find German stallholders. The previous evening Christmas was up and running with the official lighting, amid a crowd of thousands, of the city Christmas tree in Millennium Park, a 60-footer, donated by one of dozens of families who contest the right to have their own tree chopped down to cheer the city. The ceremony was hosted by Miguel Cervantes, star of the city’s production of the musical Hamilton, and involved Cozi Zuehlsdorff, star of Disney’s new Freaky Friday TV movie, alongside mayor Rahm Emanuel, once a bigwig in Bill Clinton’s presidential team. 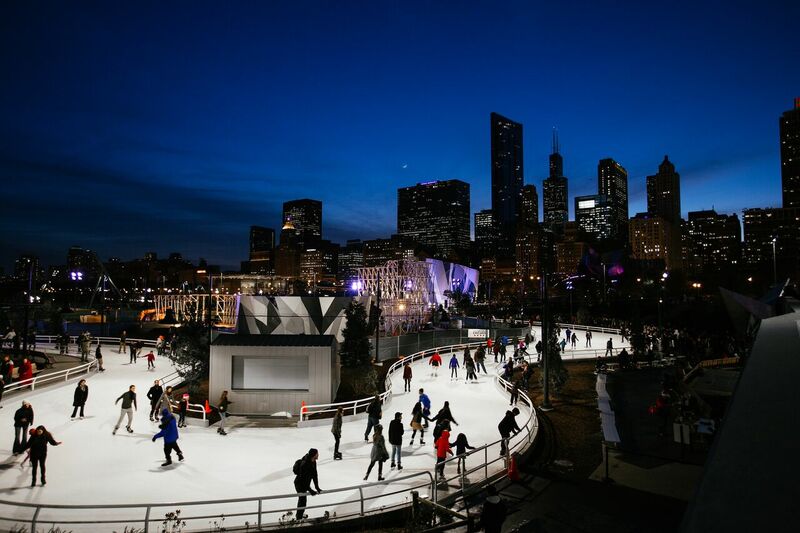 Nearby there’s jollity as crowds in mittens and mufflers tackle the Maggie Daley Ice Skating Ribbon, an oval track running through the trees. 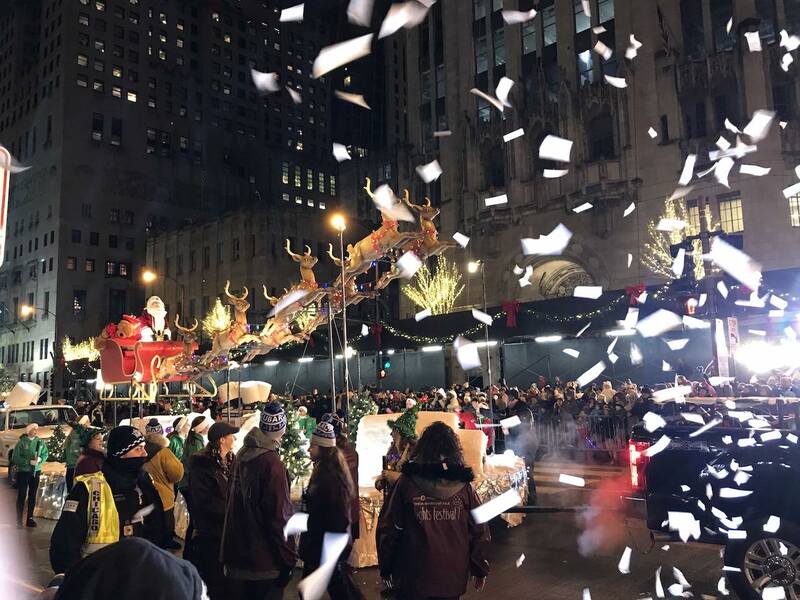 Next night is even more Christmassy with thousands lining Michigan Avenue, known as the Magnificent Mile for its extravagant shops, for an hour-long parade involving those massive floating balloon characters, the biggest school bands you’ve ever seen, dozens of floats and, of course Santa. It ends with trees along the mile erupting into light before the skyscrapers act as a mirror backdrop to a firework spectacular. At the Museum of Science and Industry (proud owner of a captured German U-boat) a four-storey tree sits inside the vast building, with 50-plus trees highlighting cultures from around the world – the Philippines gets coconut and bamboo while England is crowns, photos of the royals and, mistakenly, Union Jacks. Christmas is everywhere, not least the elegant Four Seasons hotel (with the city’s highest rooms, on the 46th floor), sitting above Bloomingdale’s department store and the other shops of 900 North Michigan, a posh mall which has its own tree-lighting spectacular with wine and fizz, and where brand new Aster Hall gives the food courts a private members’ club air with 16 boutique offerings serving local produce, from seafood to hotdogs, smoked meats to chocolate. Near the banks of the Chicago River, department store Macy’s, with its grandiose Tiffany’s ceiling, is an exquisite place to shop at any time of year but in winter the Walnut Room, a magnificent dining hall dating from 1905, the country’s first department store restaurant, is a treat. Its 45ft tree towers over the Great Tree Buffet (running into January), where for $25.95 (about £20) I can tuck into as much lobster bisque, cider-glazed turkey (and much more) as I want. There are plenty more warming treats – dinners at everywhere from the dark, sophisticated steakhouse and jazz haunt the Tortoise Supper Club to the deep, crusty pie-like pizzas at Lou Malnati’s to a bundle of blues clubs, not least Kingston Mines, a half-century old and still casual and fun with live bands on two stages seven nights a week, often until 5am. 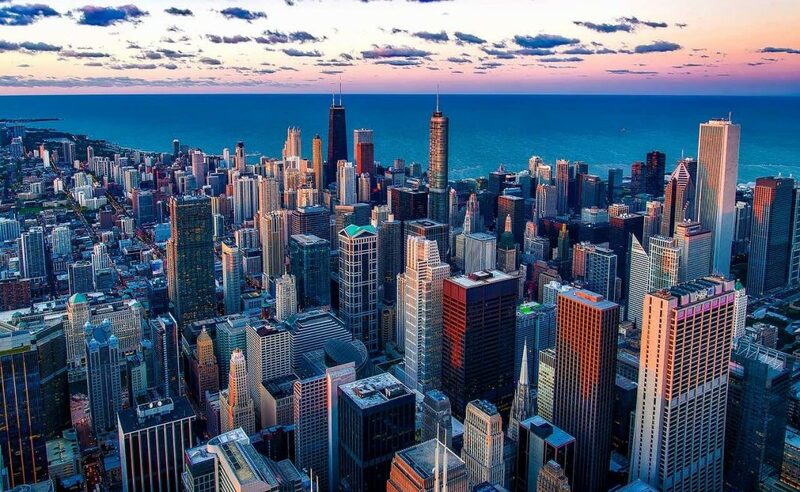 Chicago is a full-on holiday year round, a combination of a Manhattan-like city filled with architectural marvels and a seaside with beaches and boat trips. 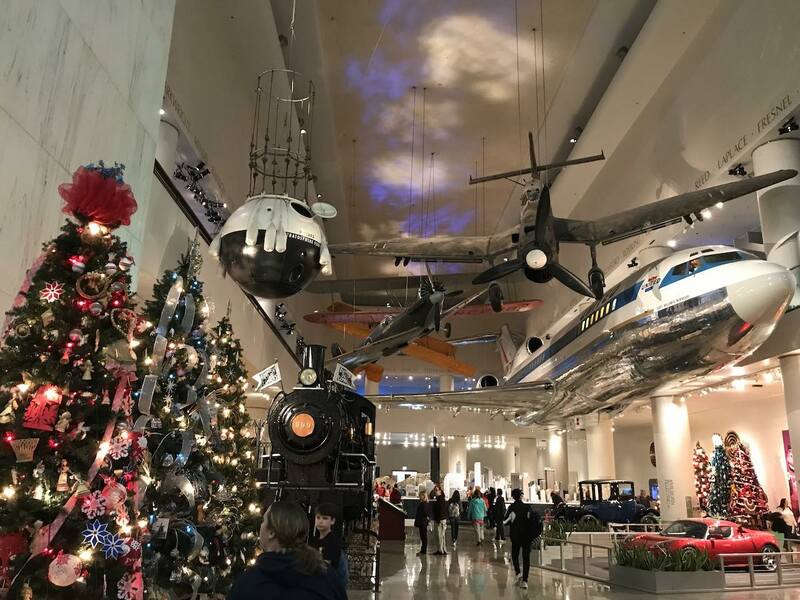 In winter there are many delights both over Christmas and stretching into the New Year, with bracing lakefront walks and a host of the country’s leading museums and other attractions. 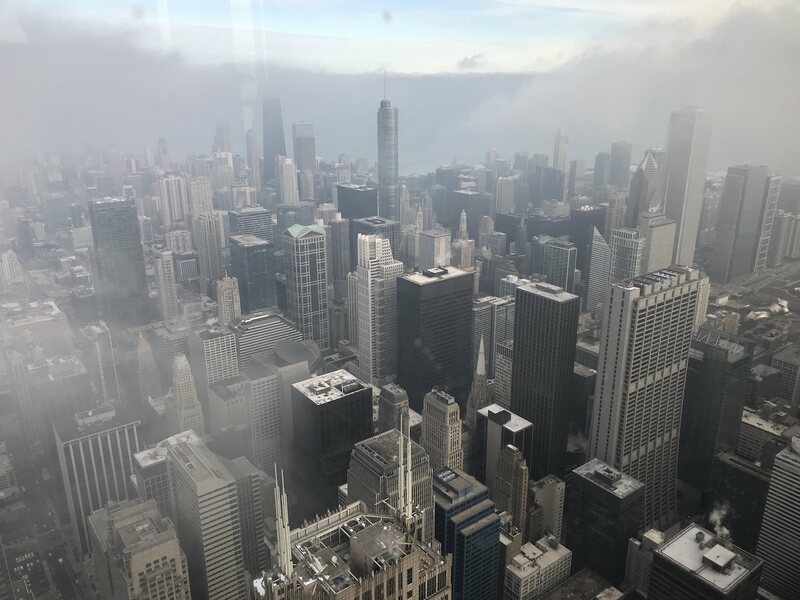 Skydeck is, fittingly, at the top of the list but there is a clutch of more venerable wonders, grandiose places, built by the lake in the 1920s, and starkly beautiful in the clear winter air. 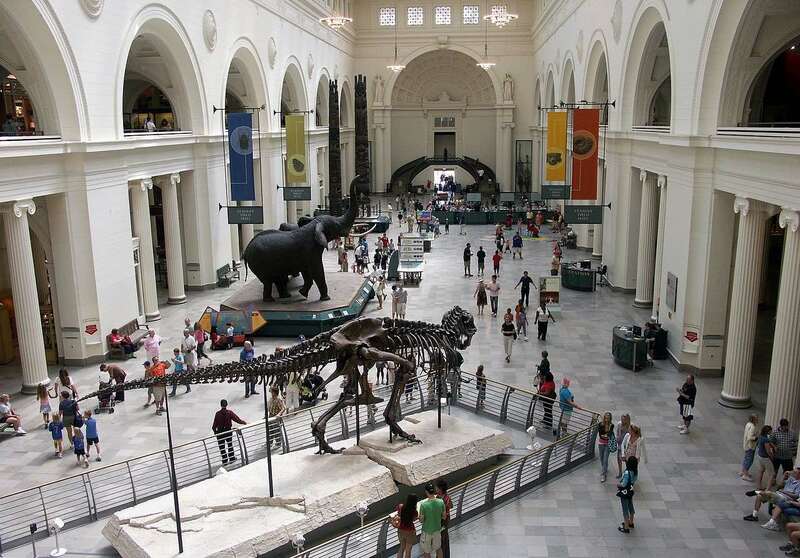 The Field Museum is packed with natural history, from dinosaur skeletons to totem poles to a pair of stuffed elephants (well it was a long time ago), 50,000 items salvaged from the city’s 1893 World’s Fair. Across the lawn is the Shedd Aquarium, once the world’s largest aquarium. Fashioned in stone by the same architects as the Field in extravagant Beaux-Arts style, even the entrance hall is an attraction – copper lamps each topped with an octopus, wall reliefs of whales and fish and ceiling tiles featuring turtles and shells. Inside, the 32,000 creatures vary from the tiniest fish to beluga whales, even penguins. Third in the trilogy is the Adler Planetarium with spectacular city views from the windows that follow the circular building like the rings of Saturn. Watch the space show in the dome and marvel at the antiquated equipment used for the moon landings, including the Gemini 12 capsule, an exhibition that had much help from local hero Jim Lovell, one of only three men to have been to the Moon twice and who uttered the mighty words: “Houston, we’ve had a problem” when the Apollo 13 mission was aborted. There’s moon rock too. Other musts here are the Art Institute of Chicago, with classics from van Gogh’s Self-Portrait to Edward Hopper’s Nighthawks, a world of Impressionism and a gallery of architectural salvage from lost local buildings – not least a wall full of windows from homes designed by another local hero, Frank Lloyd Wright. Wright also appears in a new attraction, Chicago Architecture Center, full of exhibits on local buildings, two of which are opposite – the 1920s French Renaissance charm of the Wrigley Building, with 30 floors an early skyscraper, and Trump Tower, 98 floors and designed by the chap responsible for Dubai’s Burj Khalifa, the world’s tallest building, which it resembles. 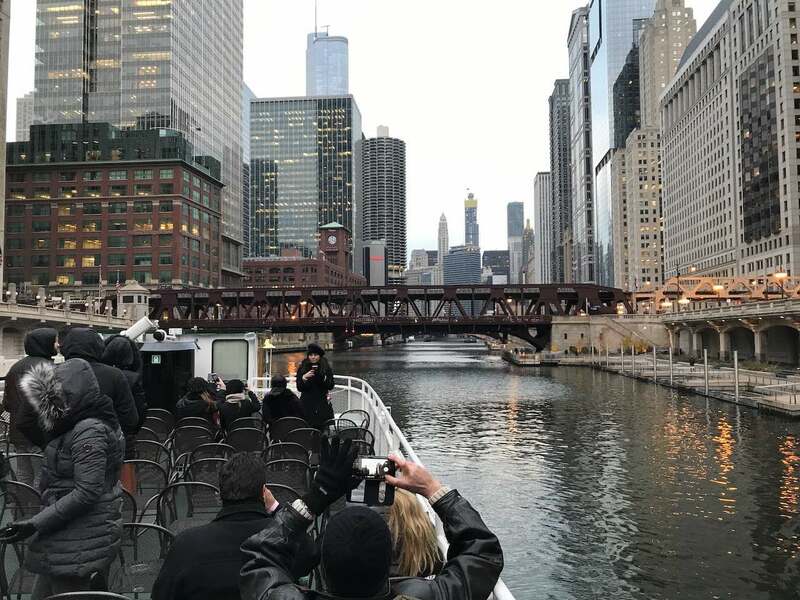 From almost outside its office is the Chicago Architecture Cruise, a 90-minute meander along both north and south branches of the Chicago River, gawping at buildings both new and old, glassy towers and warehouses, 60s icons and 20s classics. As the sun dips and we do a U-turn at the locks out to Lake Michigan, Chicago opens up in all its splendour, glittering and shining in the crisp evening. It might be dotted with Christmas lights now but it is a sight that enthrals whenever you visit. 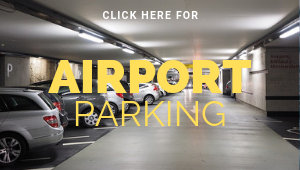 FLY: Norwegian (Norwegian.com) offers return flights from Gatwick from £238. ATTRACTIONS for less: Chicago CityPASS, (citypass.com) one of the North America-wide booklets that give fast track entry to a group of sights, is the great value way to go. 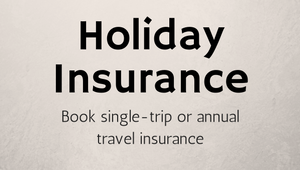 It costs $106 for five attractions, a saving of at least 50 per cent on the combined entry price.